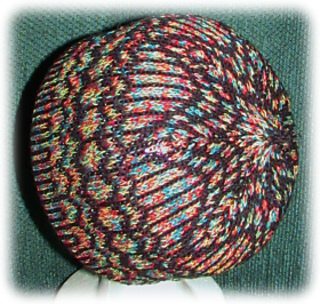 The Stained Glass Hat can be knit as a close-fitting beanie or as a slouchy-fit hat. Either way, this classically beautiful design contains the vibrant colors that reflect light in our favorite stained glass windows. 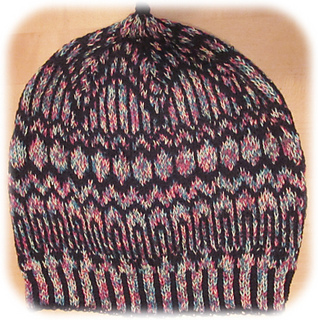 I created a tweed blend using Bre-Aly Cotton Threads, and combined with Brenda’s Black 3-ply Solid, your knitting results in a warm, stranded hat showing off the panes and arches of the stained glass design. 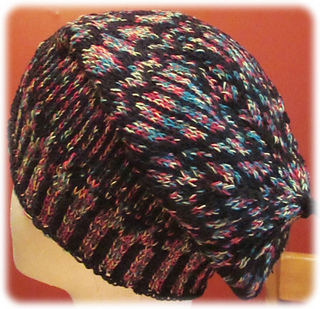 Because it is knit with cotton, it is a great accessory for all seasons. 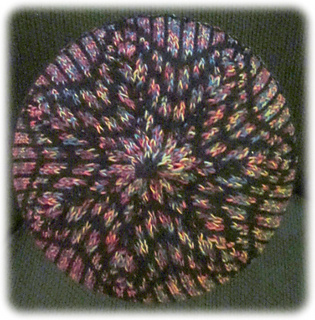 Look for the Stained Glass Sock pattern, too!